Buying a home is a huge step, making it important to dedicate time and thought if you are to get the home that meets your unique needs. With the interest that the market has generated, buying Summerlin real estate is bound to be a huge investment. Before buying your dream home, you will have spent years saving, many months researching and of course a considerable amount of time dreaming about it. To ensure that no one comes between you and your dream home, you should choose a reliable real estate agent for your transactions. At the Patrick Group, we make all our customers feel welcome, special and valued. We understand how much the journey of home ownership means to you and the effort you have put to reach where you are. This is why we will give you the personalized attention you need to feel that you are in safe hands. Your investment is a priority for us and we will ensure that we spare no effort in helping you buy Summerlin real estate. Research plays a critically important role not only in helping to find the perfect home for you but also in getting the best possible deal. We have a team of qualified, experienced and talented REALTORS® who will put in hours on proper research. With a vibrant property market such as the one in Summerlin, only thorough research will enable us to know what a property is worth. Buying a home is one of the biggest and most important steps that we take in our lifetimes. We understand the financial implications of this decision as well as the seriousness with which it should be handled. We will take time to listen to you, answer all the questions you may have and dispel any worries you may have. When you choose us for your real estate needs, you will be sure that your transactions will be handled professionally and with experience. As Southwest Las Vegas real estate agents that prioritize customer services, we aim to please. Our services are designed to ensure that all clients who work with us leave satisfied once the deal is sealed. We value our customers as much as the business that they bring us. We will work with you through the process to see to it that you get the property that you want, at a fair price and through a seamless process. We believe in offering value to all our customers. 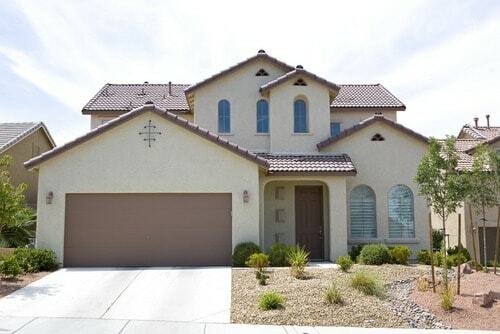 If you want to buy real estate in Summerlin, we urge you to take advantage of our limited time offer that gives you a one year home warranty valued at $500 at close of escrow. When you are ready to get started, kindly take the first step to becoming a homeowner by completing the form above. Limited Time Offer: Free $500 Home Warranty! Receive a one year home warranty valued at $500 at close of escrow when you buy real estate in Summerlin or Southwest Las Vegas.